Nanoha Strikers has a relatively bad rap compared to its predecessors, but with my having two Nanoha installments on my favorites list, it seems remiss not to give it a shot. Whether the series eventually amounts to something good or bad doesn’t matter right now (hint: don’t bring it up)—after three episodes, I’ve found more than enough to be fascinated about in the show. 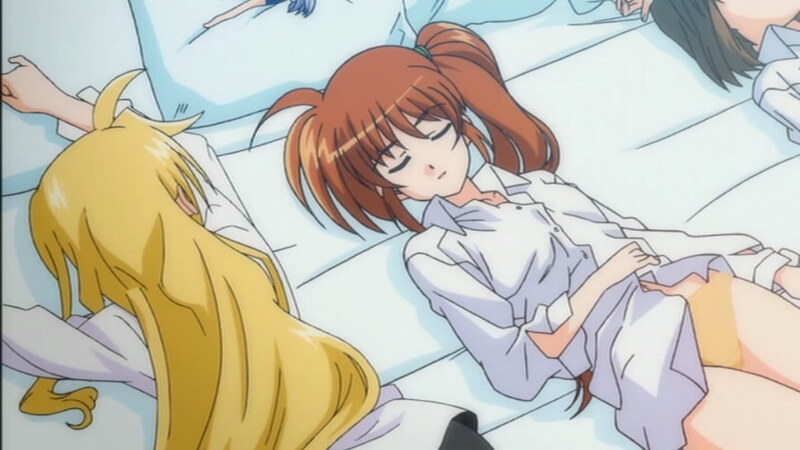 For starters, pantsless Nanoha. It's okay, they're 18 in this show.